Ever wonder when women were first allowed to serve in the U.S. Army (besides nurses)? The answer is 1942! 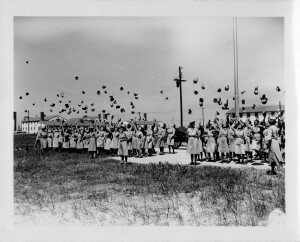 These WACs (pronounced “wacks”) served in approximately 240 types of positions, including mechanics, photo analysts, telephone and radio operators, drivers, electricians, air traffic controllers, parachute riggers, instructors, and cryptographers as well as typists, file clerks, nurses, and medical technicians. Many of these servicewomen volunteered for overseas duty, deploying to the South Pacific, England, France, Italy, North Africa, and other countries, as well as laboring in the United States. Recruiting film for the WAC (Women’s Army Corps). It’s Your War, Too, produced by the United States Army Signal Corps, 1944. “It’s your war, too, Miss and Mrs. America,” entreats the voice-over commentator. Films like the one above were created to help combat some of the rumors and outcry against women in the military, illustrated by the pair of men disparaging “petticoat soldiers” at the beginning of the video. We Won’t Hang It Up! Despite slander on the home front and some opposition within the male ranks, more than 150,000 WACs enlisted during World War II. At the war’s end, General Douglas MacArthur reportedly called the WACs his “best soldiers,” contending they had more discipline than the men, working harder and complaining less. Around 250,000 more courageous women served in noncombatant positions in other branches of the U.S. military, including the Navy (WAVEs), Air Force (WASPs) Marine Corps, and Coast Guard (SPARs). Like the male soldiers, U.S. women of all races volunteered for military service, but African-American women likely faced the most challenges of their peers. The segregation was the same, too, as black men and women had separate barracks and clubs from their non-black counterparts. (White, Puerto Rican, Chinese, Japanese and Native American women in the army served together in integrated units.) While the U.S. Army officially stated there should be no discrimination in the duties black women were assigned, these servicewomen were often consigned to more menial tasks like cooking and cleaning over medical or clerical duties. 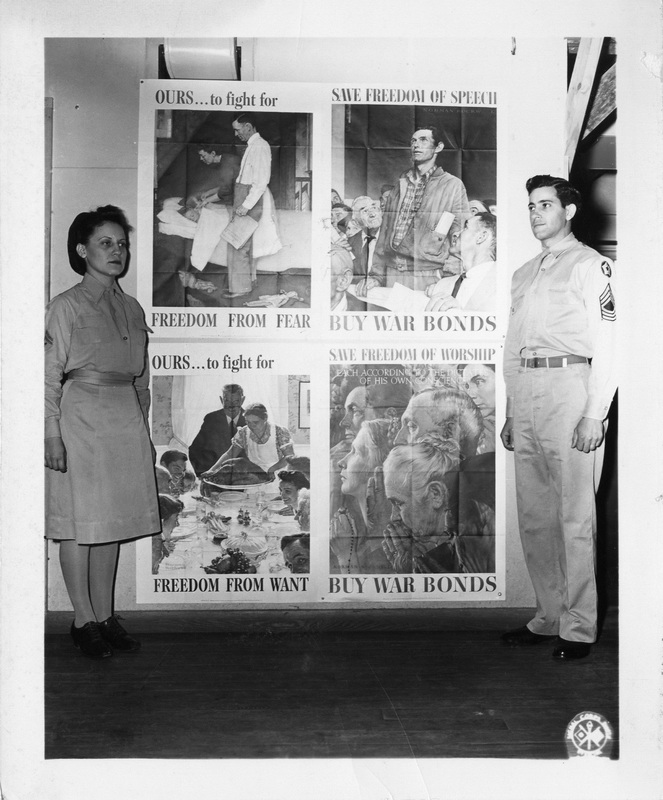 At Camp Atterbury, although WAC units were separated by race, the African-American WACs comprised the Medical Unit, 3561st Service Unit at Camp Atterbury, filling the roles of clerks, ward attendants, cooks, ambulance drivers, dental assistants, medical technicians and librarians at the Post Hospital, while the remaining servicewomen made up the Headquarters Unit, which performed administrative duties. As seen in the photograph above, the WACs at Camp Atterbury were separated into white and black contingents and led by officers of their respective races. 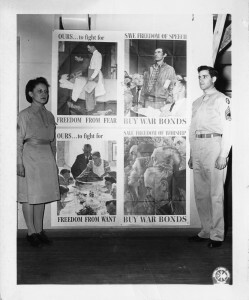 The WAC comprised but a small percentage of the troops trained and stationed at Camp Atterbury during World War II, or the “four freedoms war.” Located four miles west of Edinburgh, Indiana, the army base comprised over 40,000 acres when it was established on June 2, 1942, with 1,780 buildings providing housing to 44,159 officers and troops. 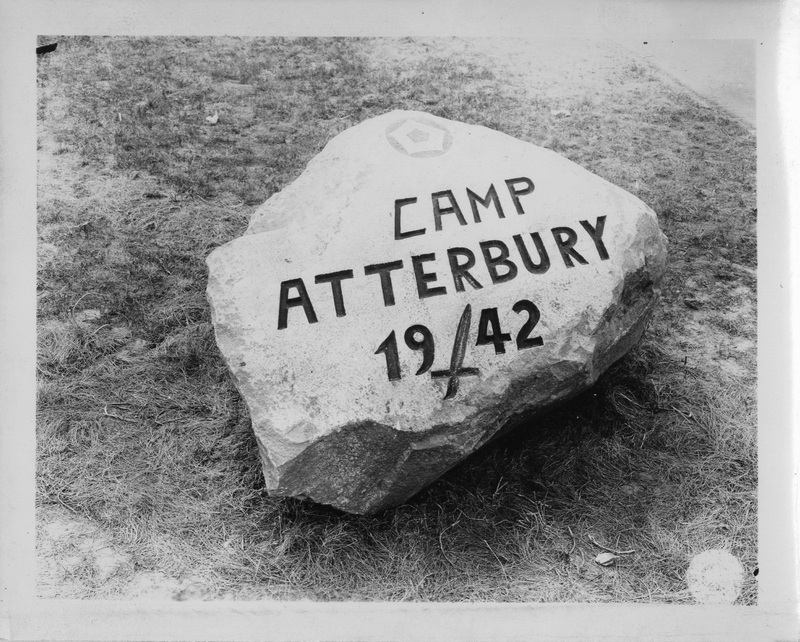 Rock at the junction of Edinburgh Street and Hospital Road near the entrance of Camp Atterbury, June 24, 1943. The limestone rock is carved with the name of the army base and the year of its founding. The insignia of the 5th Service Command is painted at the top. Over 275,000 soldiers trained at Camp Atterbury during World War II, including the 83rd Infantry Division; 8th Detachment of Special Troops, 2nd Army; 365th Regimental Combat Team, 92nd Infantry Division; 30th Infantry Division; and 106th Infantry Division. These images are only a handful from a collection of nearly 300 photographs depicting life at Camp Atterbury during 1943. The pictures are presently being digitized and added to this online collection of photographs available in Indiana Memory. The original photographs, taken by Lieutenant William J. Moriarty, Sr. while stationed at the base, are part of the Rare Books and Manuscripts collection at the Indiana State Library. This blog post was written by Brittany Kropf, Rare Books and Manuscripts Librarian, Indiana State Library. For more information, contact the Rare Books and Manuscripts Division at (317) 232-3671 or “Ask-A-Librarian” at http://www.in.gov/library/ask.htm. Brooks, Mary. “Black Wacs Recall Era of Wartime Segregation.” Orlando Sentinel, September 28, 1992. Hampf, M. Michaela. 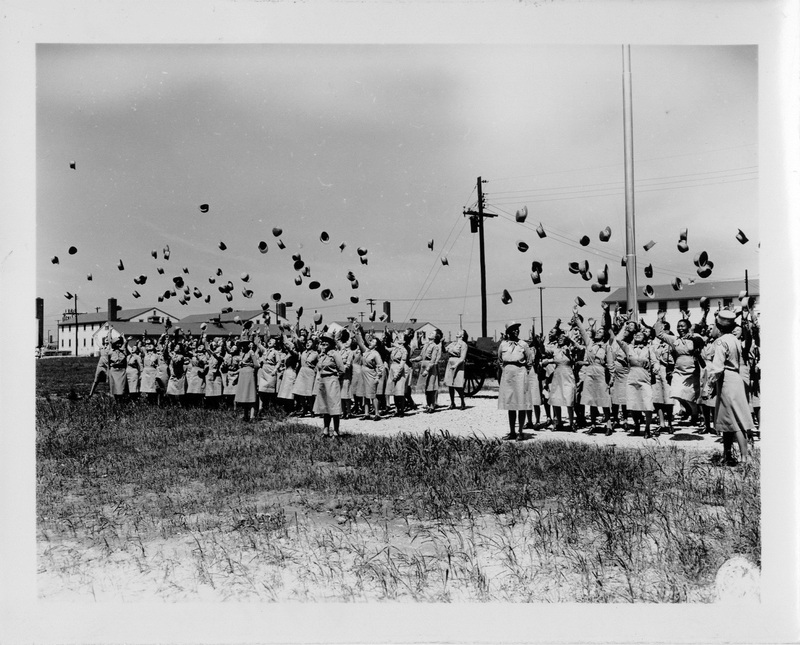 Release a Man from Combat: The Women’s Army Corps During World War II. Köln: Böhlau, 2010. Treadwell, Mattie E. The Women’s Army Corps. Washington, DC: Center of Military History, United States Army, 1954, 1991. This entry was posted in Rare Books & Manuscripts and tagged Camp Atterbury, Camp Atterbury World War II, History, Indiana, Indiana State Library, Military, Photographs, Rare Books & Manuscripts, WACS, War, Women, World War II by indianastatelibrary. Bookmark the permalink.